Hello and welcome to sixteenth episode of Fanboy Nation’s Toon-In-Talk, your rendezvous for animation interviews. Have you ever wondered what happened to kid voice actors when they grow up? Whitney Grace has! After watching Walt Disney’s The Jungle Book, Whitney wondered what happened to Mowgli. It turns out that Mowgli is Bruce Reitherman, son of Wolfgang “Woolie” Reitherman, one Disney’s Nine Old Men! Bruce was more than happy to discuss his experiences voicing Mowgli and growing up at the Walt Disney Animation Studios in the 1960s. Bruce voiced Mowgli in The Jungle Book and he is also the son of Wolfgang “Woolie” Reitherman, one of Disney’s Nine Old Men. Growing up in the Disney Studios was like being alive during the Renaissance. Some of his earliest memories include that it was a very family oriented place and some of the people he ran into. Whitney praises the Ink and Paint Club. Bruce delves into the creativity he witnessed at the studio, including how individuals added to the big picture. Woolie took over the art department after Walt Disney passed away. He was always eager to go to work everyday, was a great father, intelligent, and talented. 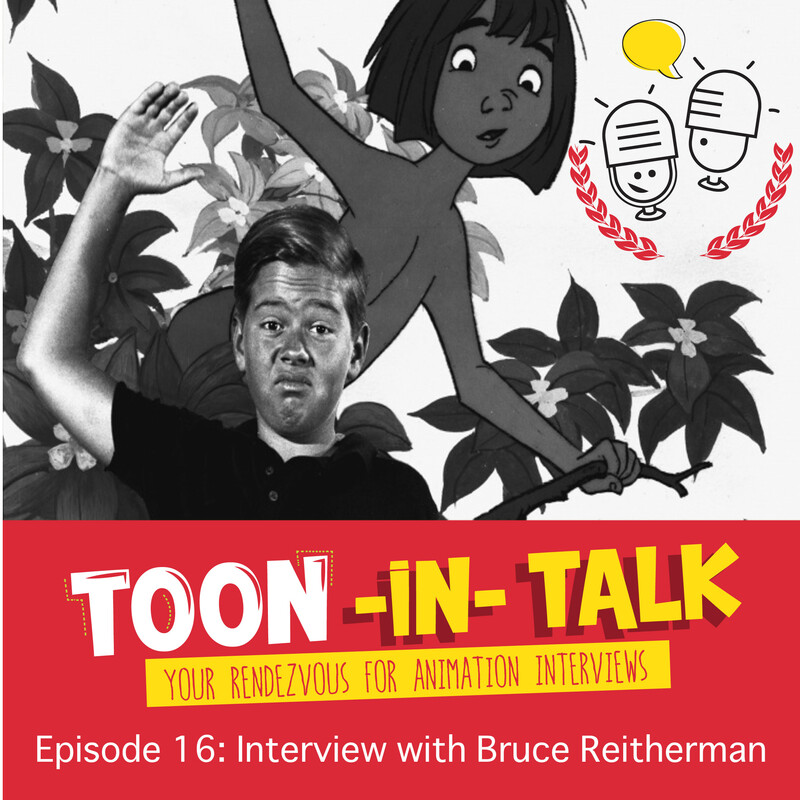 Bruce stresses that all animators had the same attributes as his father and this made them great animators able to capture the illusion of life. Woolie was in charge of the Xerox age of Disney animation. Whitney loves this era, because you can see the original pencil sketches and the animation process. Bruce gives a history of the Xerox process, why Disney implemented it, and what he enjoys about this animation process. Bruce talks about his experience voicing Mowgli in The Jungle Book and the fun he had. Whitney wonders how The Jungle Book changed from the original concept and Bruce explains how Disney was interested in making an enjoyable character film and take it in a new direction from the original story. When Bruce got the Mowgli role, he wasn’t a child actor. His dad needed a regular voice from a regular kid and Bruce was in the right place: living under the same roof as Woolie Reitherman. Bruce shares his views on Mowgli’s different relationships with the animals. Whitney wanted Mowgli to go back to the jungle and live, while Bruce likes the ending where Mowgli goes back to the man village. He likes this ending, because it shows that Mowgli accepts growing up. Bruce “wants to be like you!” and he has never seen The Jungle Book 2.